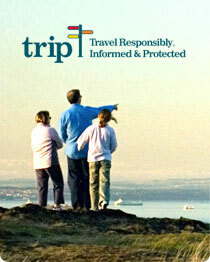 Membership is open to any company that is actively involved in, or provides services to, the travel insurance business. We are particularly interested in people and companies who will actively participate on committees and in other UStiA activities. There are four membership levels: Full Member, Associate Member, Distributor, and Subscriber. Must be in the insurance business and derive at least 50% of their annual revenue from travel insurance. Corporate entity can have more than four individuals in the Association. Must pay $500 for each additional person. Dues allow one employee to actively participate in the association. Corporate entity can have more than one individual in the Association. Must pay $250 for each additional person. UStiA is a nonprofit professional organization whose goals are to foster ethical conduct, ensure that the public has access to affordable travel insurance, educate the public, and promote a commitment to excellence in the travel insurance industry.